By Dr. Leon Forrester Tcheupdjian, M.D. Dr. Leon Forrester Tcheupdjian, M.D., respected scientific researcher, teacher innovator and surgeon. 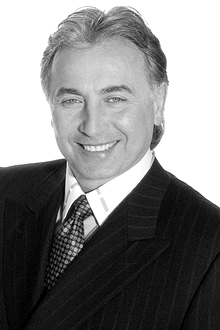 As the Medical Director / Chief Surgeon of a Chicago, Illinois Plastic Surgery Practice, Dr. Tcheupdjian has supervised and performed probably more liposuction procedures than any other American doctor. 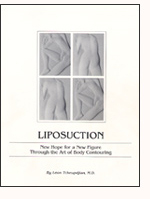 Published in association with The Liposuction Institute, Chicago, Illinois. This book is intended for the interest and general information of the public on the subject of liposuction. This book has been designed to inform the public about liposuction, in order to provide a basis for greater understanding, and-for those who are considering liposuction as a treatment for problems of their own-a basis for informed decision-making. You will find here a history of the development of this relatively new medical procedure, detailed descriptions of applications and case histories, and much information about related health care areas, such as diet, exercise, and mental attitudes. If you are considering liposuction surgery, you may feel that not all the chapters of this book are for you; you may be interested in only one area. It is suggested that you read the first several chapters of the book, to get an informed overview, and then, if you wish, choose the chapters that deal specifically with the kind of liposuction you are considering, in the remainder of the book. As has been mentioned many times throughout the book, you should never attempt to self-diagnose, self-treat, or change a medical treatment or procedure that your doctor has prescribed, based on your reading; you must follow your own doctor's advice; and seek the advice and counsel of your doctor on all medical questions. The purpose of this book is one of general information, and it should never be used as a substitute for your own doctor's advice. Discuss the book with your doctor, and perhaps use it to help you to understand the descriptions that may be new or unfamiliar to you in treatment; or simply use the book to help you to become informed as a basis of making your decision about whether or not liposuction is for you. It is hoped that this book will help greatly to provide a basis for understanding by the public of the tremendous potential of this new medical technique. Chapter I: Liposuction-What Is It? Liposuction: New Hope For A New Figure Through The Art Of Body Contouring - By Dr. Leon Forrester Tcheupdjian, M.D. copyright © 1988-2006 Dr. Leon Forrester Tcheupdjian M.D. All rights reserved. No part of this book may be reproduced in any medium whatsoever, including photocopy or other electronic medium, without the express written permission of Dr. Leon Forrester Tcheupdjian M.D..